Original 1981 Argentinian one sheet movie poster from the film ' Conquest of the Earth ' starring Kent McCord, Barry Van Dyke and Lorne Greene. 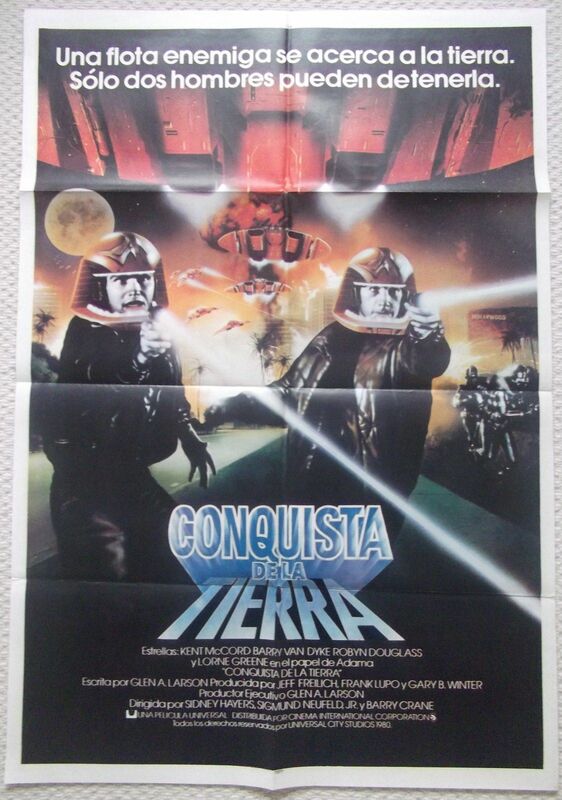 This poster is in Fine- condition and measures 29" x 43". This poster has one tiny fold split, left fold edge.